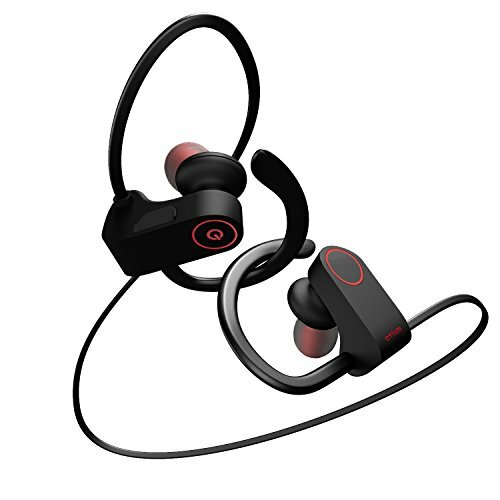 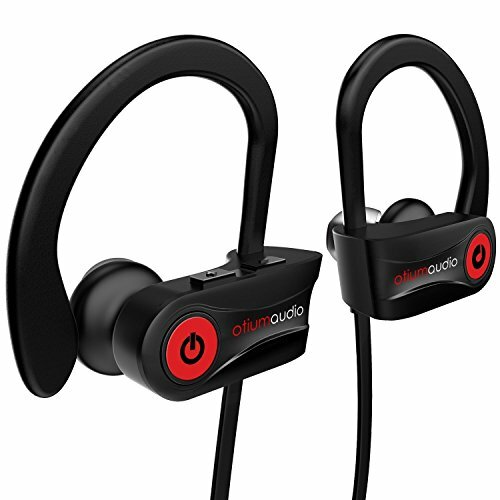 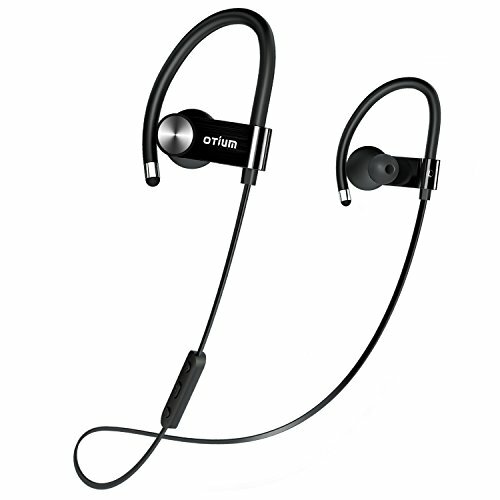 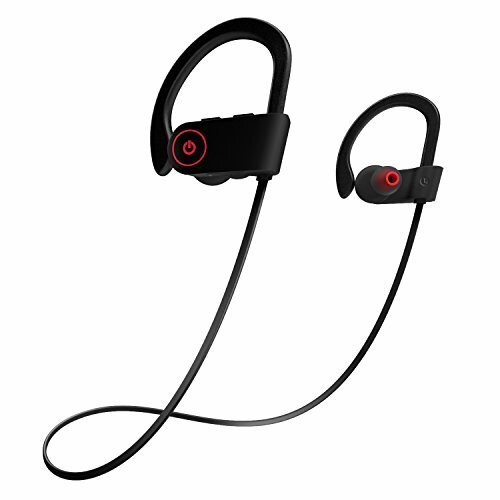 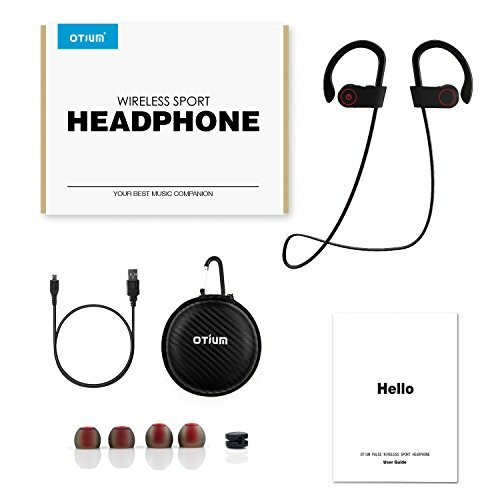 The Otium Bluetooth Headphones are affordable, wireless headphones that are ideal for any frequent traveler. 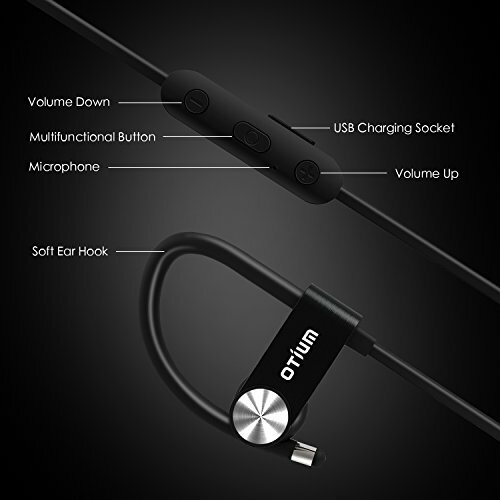 The 8 hours of battery life allow you to charge them overnight and have ample battery power for a day on the road or a flight. 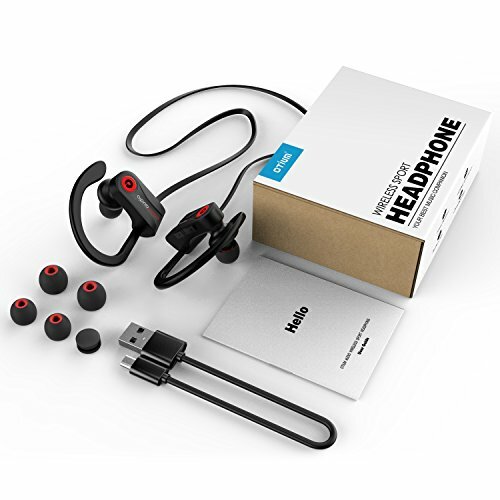 The headphones have crisp sound quality, along with a built-in mic and voice notification for incoming calls, allowing you to use your phone even if it is out of reach. 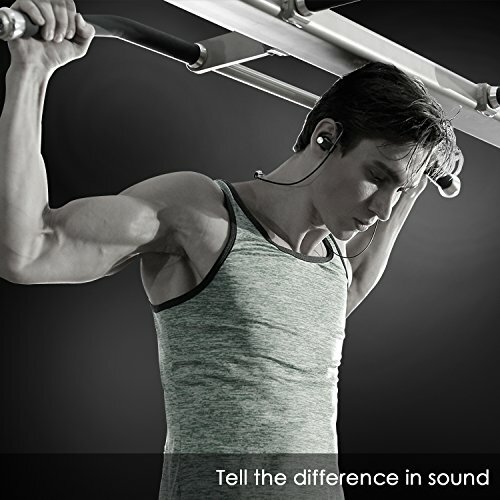 The headphones are effective up to 30ft without obstacles and 10ft with obstacles. 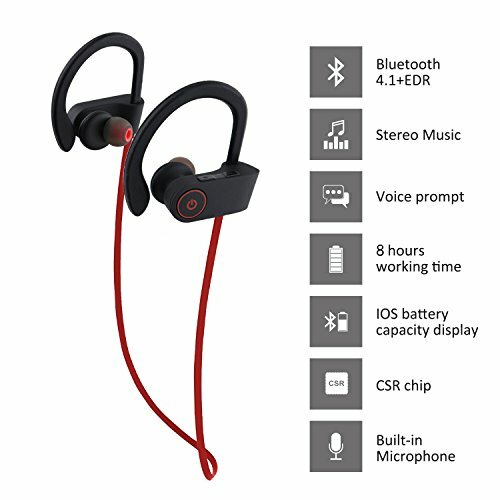 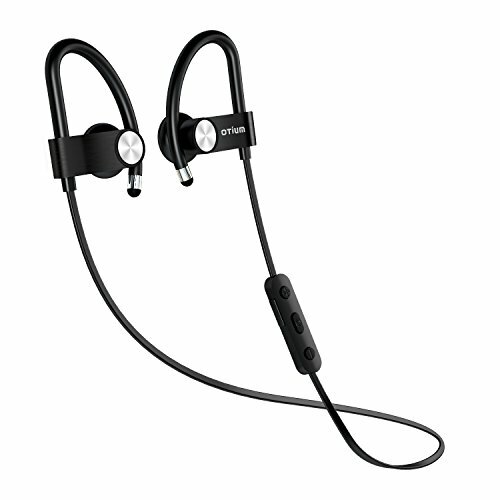 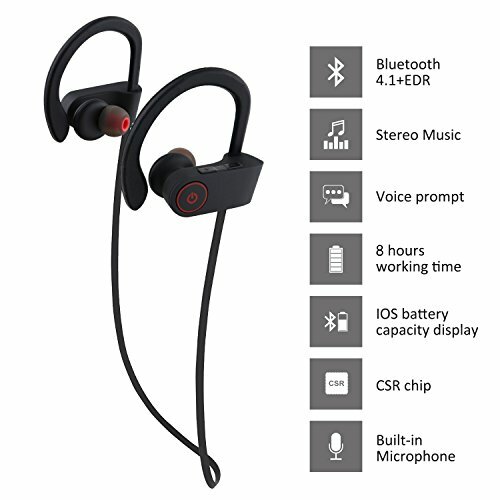 The lightweight earphones adopts multiple precise metallic technologies, vacuum plating with stainless steel and mercerizing on the surface, it is also skip proof and scrape proof. 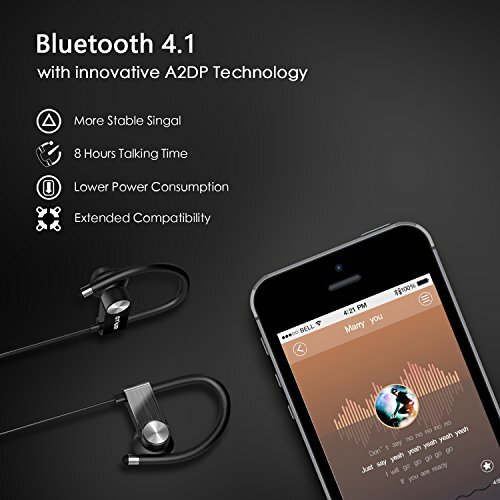 Advanced Bluetooth 4.1 with CSR8645 offer a faster and more stable connection, powerful battery last up to 8 hours play time and talk time. 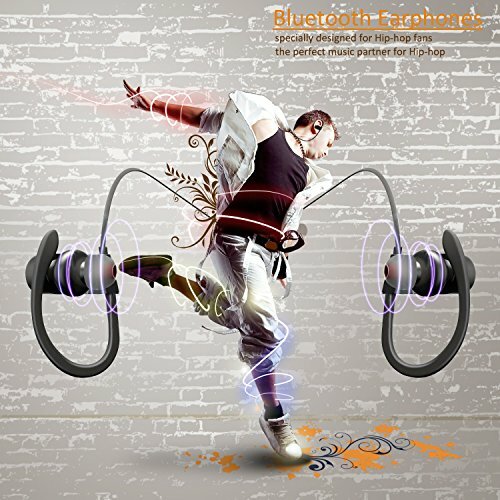 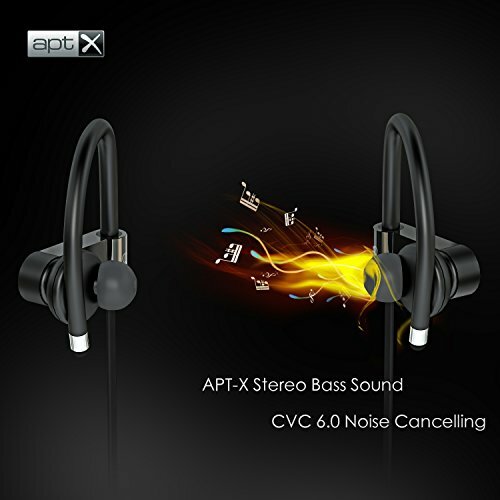 This Bluetooth Headphones rovide premium sound with deep bass, and support APT-X makes music as close as CD quality. 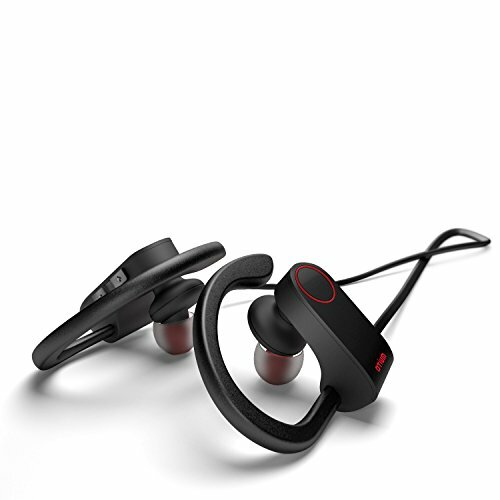 CVC6.0 noise cancelling feature isolates you from noise. 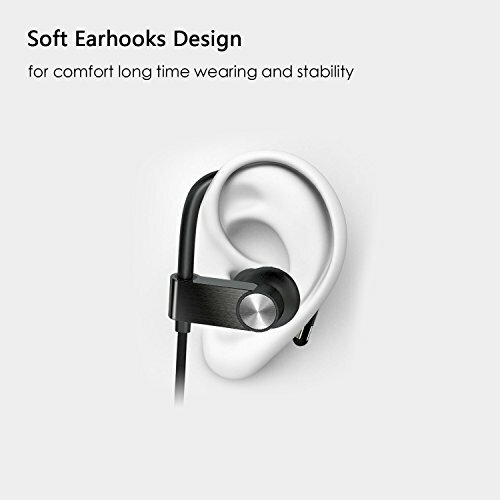 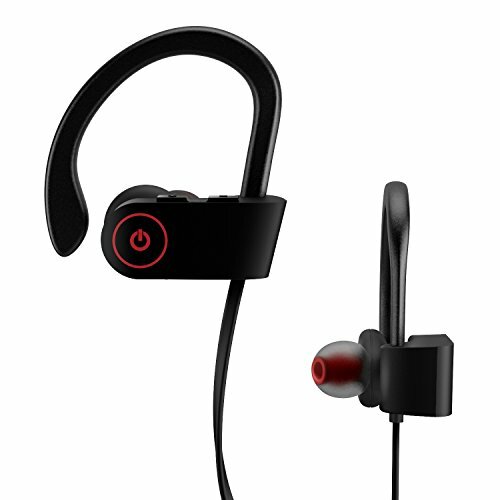 Comfortable and Secure Fit - With Ergonomic design and silicone ear hooks, and extra different ear buds sizes. 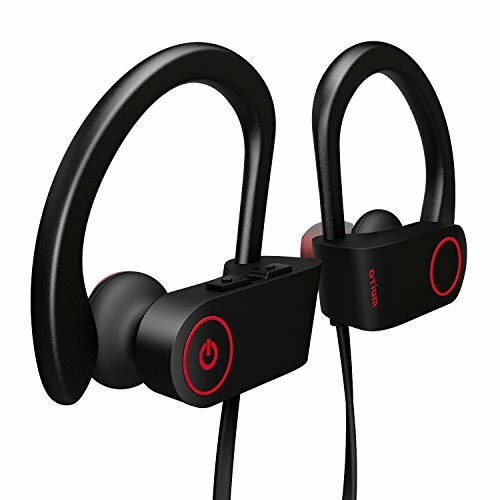 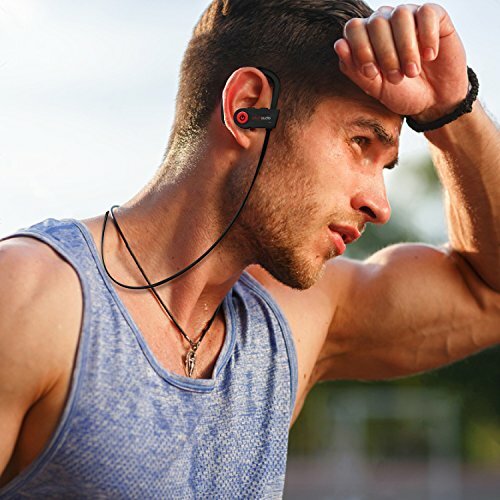 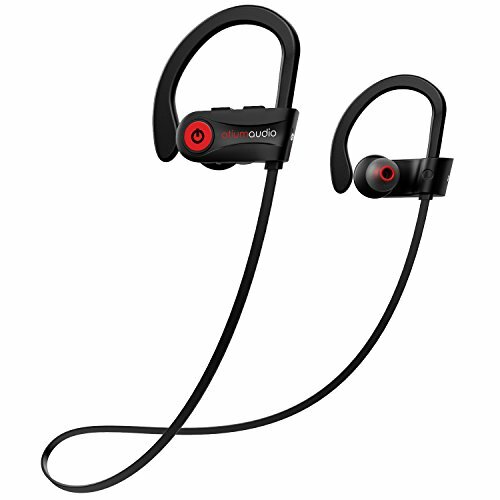 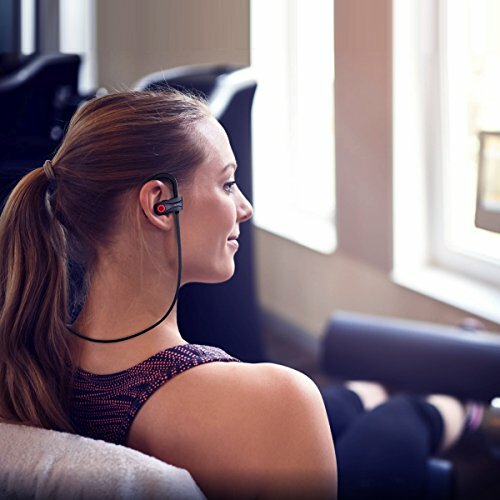 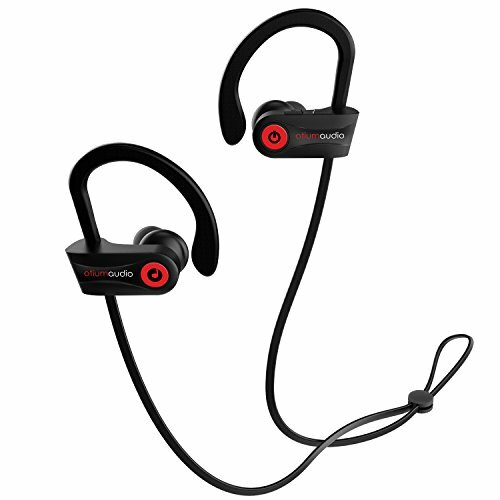 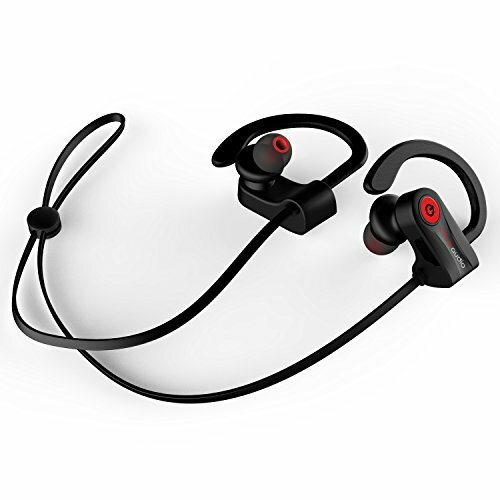 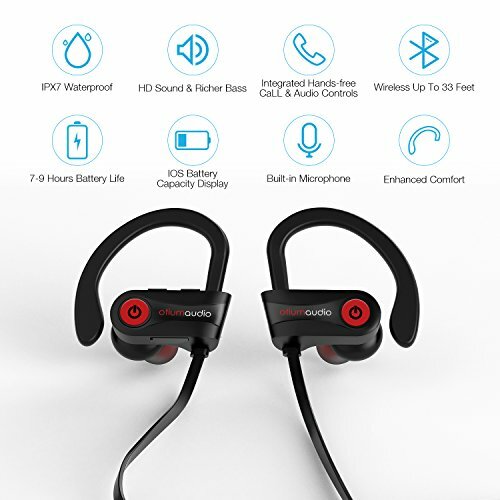 Wireless Headphones are secure stay on your ears, feel great to wear and will never fall out.Neckband design prevents troublesome wires from tangling during your workout.